Q: Should I understand that the Rebbe is telling me that my own personal hiskashrus and bittul to the Nosi is what draws down his eternal life (חיים נצחיים) to every single Yid in the generation?! Hard to support such an understanding. Perhaps the intention that each one, through his own hiskashrus and bittul to the Nosi draws down eternal life (חיים נצחיים) to himself. Perhaps a more correct reading is that the hiskashrus and bittul of the Rebbe himself to his Nossi (the Frierdicker Rebbe, who “did not die”) is what is drawing down eternal life (חיים נצחיים) to every single Yid in the generation! Now Available: Sefer Bereishis — for download! All the articles for Sefer Bereishis are gathered in an easy-to-read PDF format, at no charge. Available on the “Downloads!” tab of the top bar of this website. 1. On1 the Third of Tammuz, 5687, the Previous Rebbe was released from prison in Leningrad on the condition that he spend three years in exile in the city of Kostroma. At the time, it was not known whether this was a positive step, for although exile is preferable to imprisonment, it is also connected with several hardships and dangers. 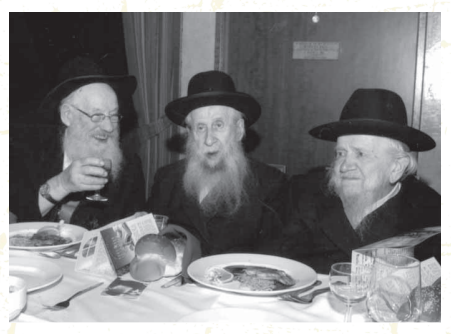 Afterwards, on Yud-Beis Tammuz, the Previous Rebbe received the news that he would be freed and on Yud-Gimmel Tammuz, he received the official documents testifying to this. And thus it was revealed that the Third of Tammuz was the first stage of the process of redemption. Furthermore, it was revealed that a death sentence had been issued previously, and the sentence of exile had represented a lessening of his judgment leading to his ultimate redemption on Yud-Beis-Yud-Gimmel Tammuz.